Ha Long Bay is blessed with many beautiful sceneries. To Ha Long, visitors must spend at least 2 days to discover and feel the beauty of this place. However, if there is not much time, tourists can still travel Halong to go on the day with one-day tour of Origin Vietnam Travel. 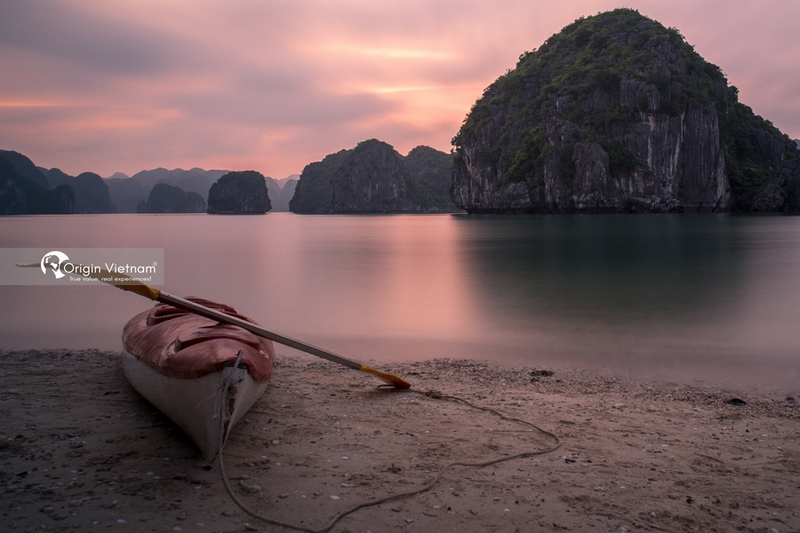 One day - Is it enough to explore Halong bay? Many visitors wonder "1 day, is it enough to explore Ha Long?" Answer is certainly enough. Ha Long Bay has nearly 2,000 islands large and small, accounting for more than 2/3 of the island. Not to mention caves, tourist spots in and out of the city. It is difficult to discover all these places. Depending on the time of the tourists, there are different destinations. If only one day to explore Ha Long, visitors should select only the highlights to visit. 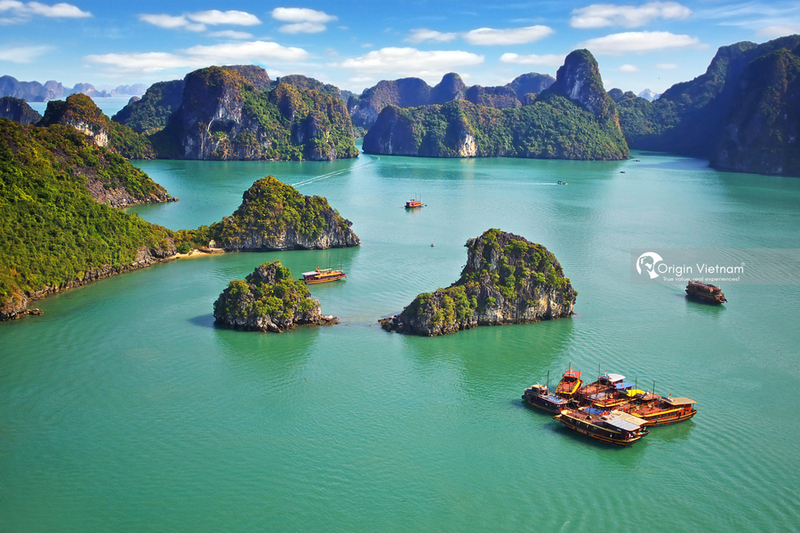 One day in Ha Long, visitors can go through rocky islands, caves or coastal fishing villages. One day in Ha Long, visitors will also experience the interesting activities here. Such as bathing, taking pictures, enjoying Halong specialties ... In short, one day sure enough for visitors to discover and feel. Get the beauty of World Natural Heritage - Halong Bay. Guests can refer to the tour Ha Long 1 day of Origin Vietnam Travel at the website: https://originvietnam.com to book the tour. Origin Vietnam Travel has carefully selected each destination so visitors can be assured. Our journey includes transportation, accommodation, meals, tickets to visit places ... so visitors do not have to spend much time finding these services. You can arrange a weekend, early week or midweek to travel. Breakfast is complete, guests can use a cup of hot tea for warm belly. After providing enough energy for breakfast, travelers start exploring Halong Bay by boat. The captain will take visitors to visit many wonderful sceneries here. On board the crowded ship, tour guide, who will tell you interesting stories about Ha Long Bay in general and the rocks, caves in particular. Go for a walk, visitors will encounter the strange stone islands such as Rock Dog, Drum Islet, Lu Huong Islet, Con Coc Islet. As the sun begins to rise, visitors begin to feel tired for a morning on the bay. At this time, the group will rest in the boat and enjoy lunch here. The lunch menu has many dishes for you to choose from such as clams, seafood rolls, fish sauce, sour clam soup, garlic squid sausage, roasted salt surface ... Guests are comfortable choice by preference and "Pocket" money. 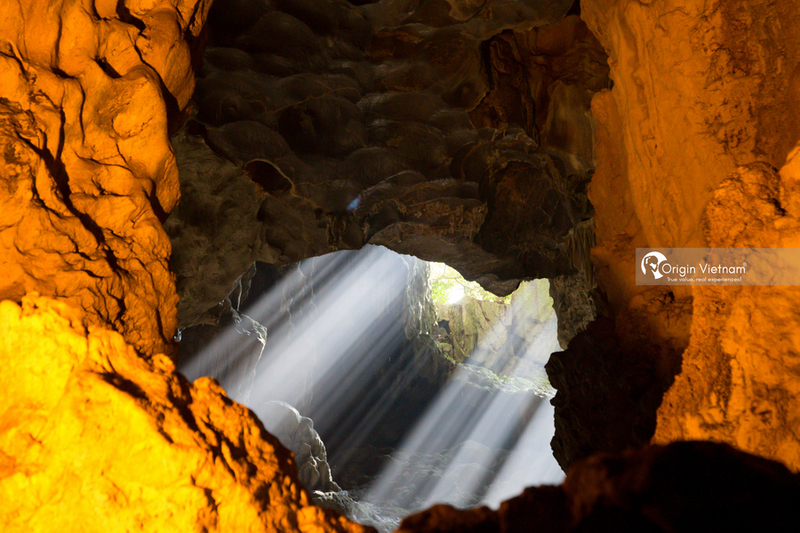 After lunch, visitors will continue to visit Thien Cung, which is considered the most beautiful and beautiful cave in Ha Long Bay. Moving like a large arch with a cave of nearly 10,000 m2, complex structure with many compartments. You will be amazed at the emulsions, stalagmites and unique shapes on the cliffs. In the afternoon, when the sun rises gradually, in return are cool winds with cool shadow. You will go to Ti Tốp island, about 7 - 8km from Bai Chay. The island has the shape of crescent moon, fine white sand due to tide up and down often washed. Around the island is the Rocky Mountains and surrounding green forests. After a day of exploring, it was fun to dive under the cool water. Soak in the cool blue water; Visitors like to get rid of all the tired, sorrowful in the water. Sea bathing or you can go to shore relax, breathe fresh air from the sea to blow in. After that cruise back to boat harbor. that the day time exploring Halong Bay full day. 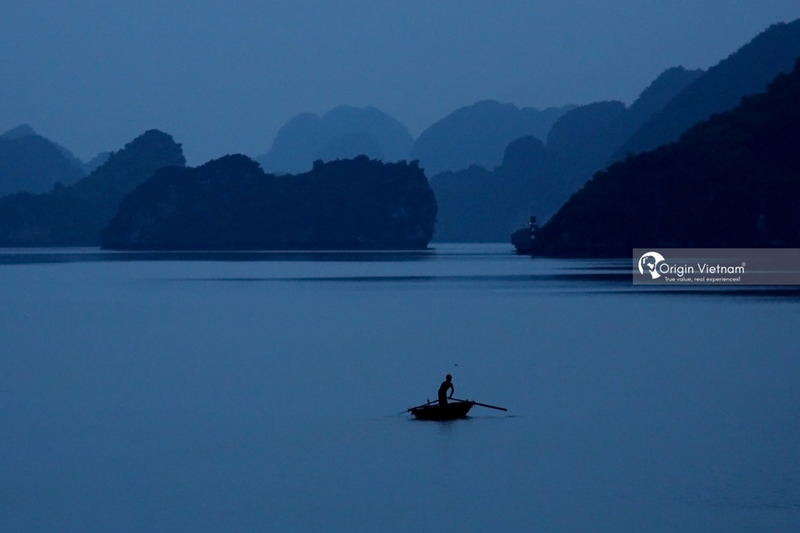 In the evening, if you still have time to stay in Ha Long Bay. You should enjoy a variety of diners with great seafood served on the restaurant. Although only a day to explore Ha Long but with such a schedule, visitors can discover the beauty of Ha Long. What should bring with you? Passports are also something you can not forget on your trip. Guests are required to have documents such as a passport and identification card, a copy of their children's birth certificate (for check-in), a driver's license, vehicle registration (if you drive yourself travel). Guests should keep their wallets and purses separate, avoiding the loss of both. The most important items in the backpack are clothes, shoes, hats, sunscreen, sunglasses, cameras, lightweight make-up sets, personal hygiene products such as handkerchiefs, toothbrushes , toothpaste, shampoo, mirror comb ... Travelers should choose the simple, light clothing combined with sandals / low shoes to easily move on the boat.